Get the Best cloth in the world used by more major pro events… for even less than you’re paying now. 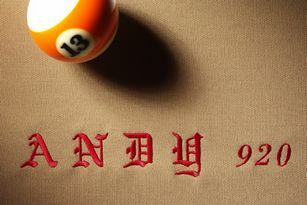 Andy Cloth will save you thousands of dollars as a dealer or poolroom owner. Andy Cloth costs about 25% less than the major competing brands, at an average savings of $100 per bed. comes in an array of colors including blue, camel, burgundy, and traditional green. If you have a request for a different color, please let us know as we can manufacture in any color. The Andy Pro Tour Cloth (also known as the USA 920) is specially designed for elite level of play. This is the cloth that is used in many World Championships and international televised events. 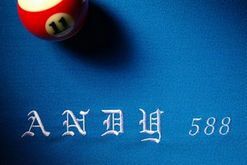 Elite billiard room businesses get a huge benefit with the Andy Pro Tour Cloth as it is engineered to last much longer than other comparable pro tournament brands, but still maintains a sleek, smooth surface that let’s the balls roll accurately. Another unique feature is that the cloth does not have the “slide” effect which is a weakness of other brands when newly placed. The Andy Pro is also gauged to the perfect speed of not needing to hit too softly or too hard, enabling proper ball speed and control. These are major components to why most pros prefer Andy Cloth which enables them to play at peak performance levels. The Andy Home & Pool Room Cloth (known as the USA 588) is engineered for the residential and high volume business market. This cloth is well suited for dealers selling to homeowners looking for a great looking, smooth cloth at an economic value. Also, for poolrooms, bars, or high volume customer traffic that will see alot of play and need something that will last longer as well as look and play superbly. Incredibly, this cloth has been used in major international professional events worldwide, giving everyday buyers a chance to get something that even the pros play on. Andy Cloth imports the finest wool from Australia using the most advanced machinery and techniques from European spinning, weaving and finishing equipment. 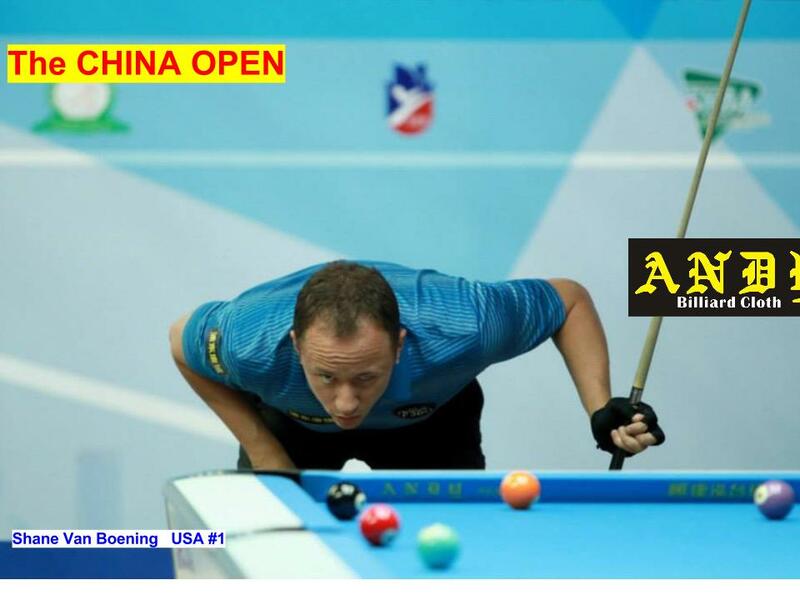 ANDY Billiard Cloth must go through thorough testing using delicate instruments after every phase of the manufacturing process to ensure standardization of quality. Wool- recombining, spinning fineness and uniformity all test the precision of the cloth before it joins the next production steps. After weaving the cloth, a strict visual surface inspection is done to trim any surface defects generated by the spinning and weaving before finishing. Then we go through an additional manual inspection to ensure the smoothness of the surface. There is also an inspection for all indicators (composition, color fastness, hairiness, durability) before packaging and storage. All these stringent and complex production processes are vital to us to insure every customer, every event, and every player has a world class experience.